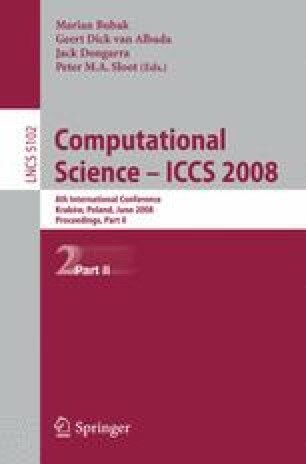 This work concerns the issue of surface reconstruction, that is, the generation of a surface from a given cloud of data points. Our approach is based on a metaheuristic algorithm, the so-called Particle Swarm Optimization. The paper describes its application to the case of Bézier surface reconstruction, for which the problem of obtaining a suitable parameterization of the data points has to be properly addressed. A simple but illustrative example is used to discuss the performance of the proposed method. An empirical discussion about the choice of the social and cognitive parameters for the PSO algorithm is also given.